People from all over the world love to have a royal bar customised for their homes. 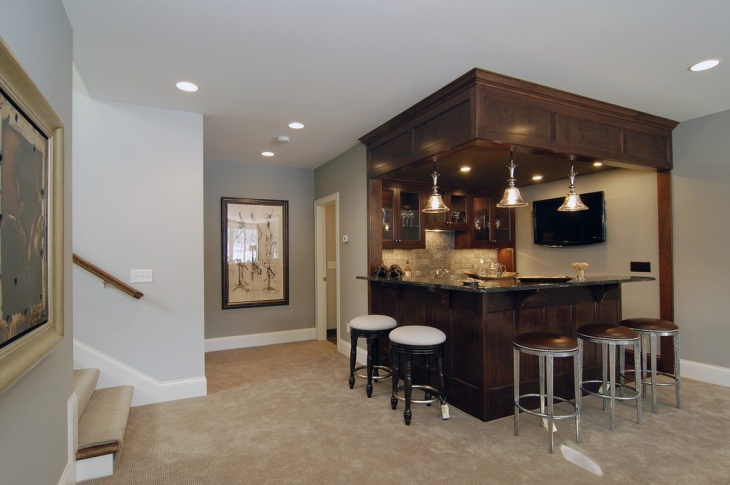 Well, you can incorporate a small home bar in your living room or any other space in your home. 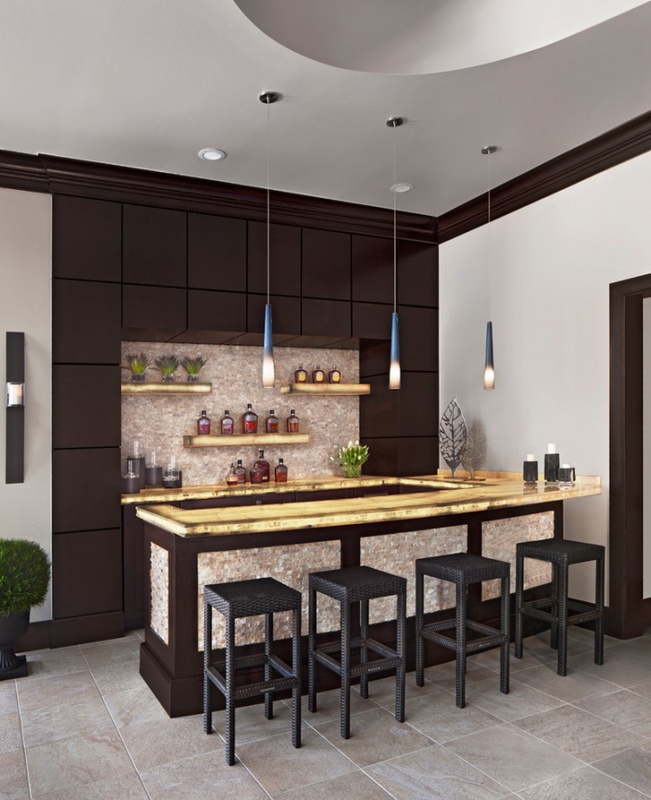 People love to experiment with small home bars and there are different variations in designing them You need to consider the interior accessories and furniture when you personalise these bars. Here, you will find ten elegant home decor ideas which will help you to design compact home-bars. 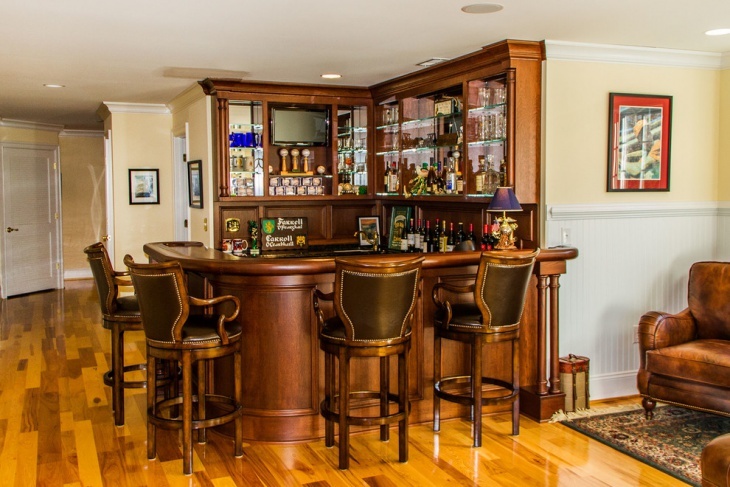 A traditional home bar comes with elegantly designed wooden shelves. Bright shelf lights beautify the interior of the room. 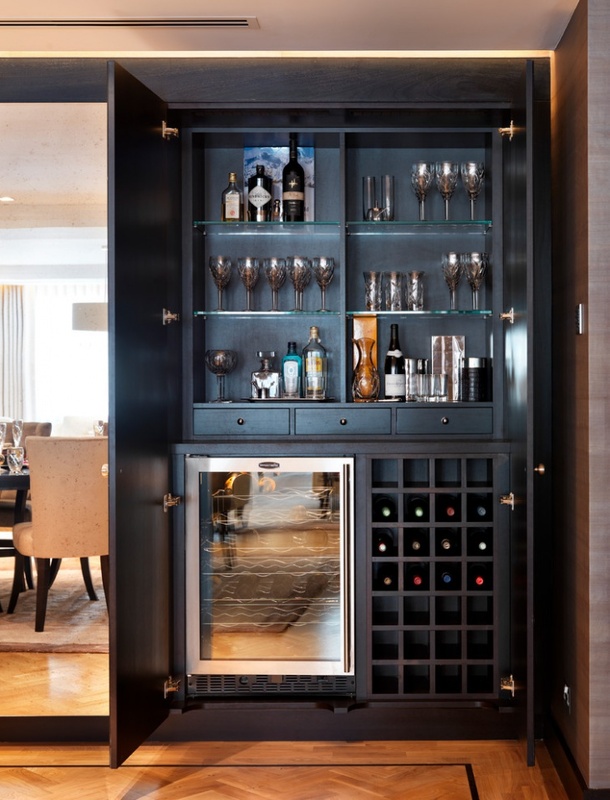 Apart from the narrow decks, there are broad liquor cabinets in the room. 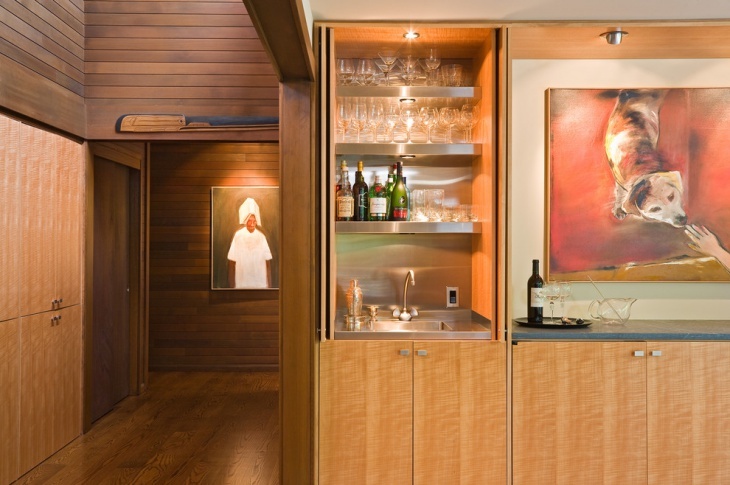 The artworks on the wooden walls create a grand ambience in the room. A perfect wood finish for the walls makes them customised for the room. 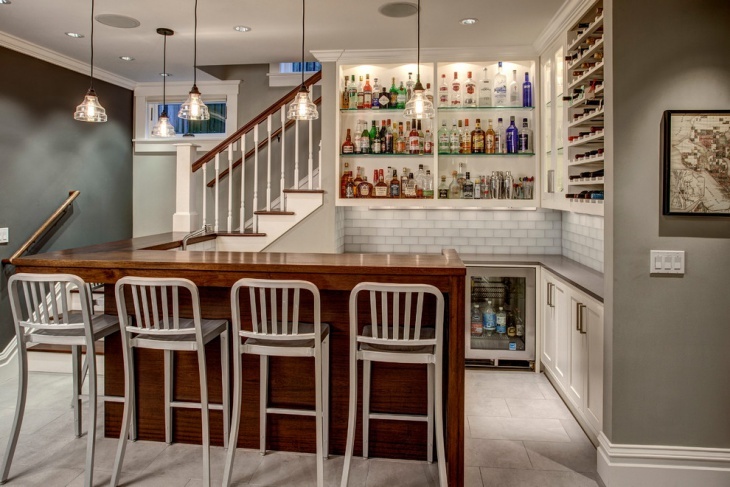 When you have limited space in your home, you can design the bar in a corner. Staggered cabinets look great in this room, and for a sophisticated look, you can place a couple of showpieces beside the cabinet. The black borders of the cabinets strike a great combination with the light wooden colour of the cabinets. If you have a spacious room, you can opt for an ‘L’ patterned bar. There are sitting arrangement on raised steel stools. The black panels on the walls have a great compatibility with the white walls and grey floor. The steel sitting furniture makes the room delivers a modern and elegant look to the room. Wooden accessories are rich in look, and you can opt for a vintage setting for the small home bar when you incorporate the wooden finish to the room. 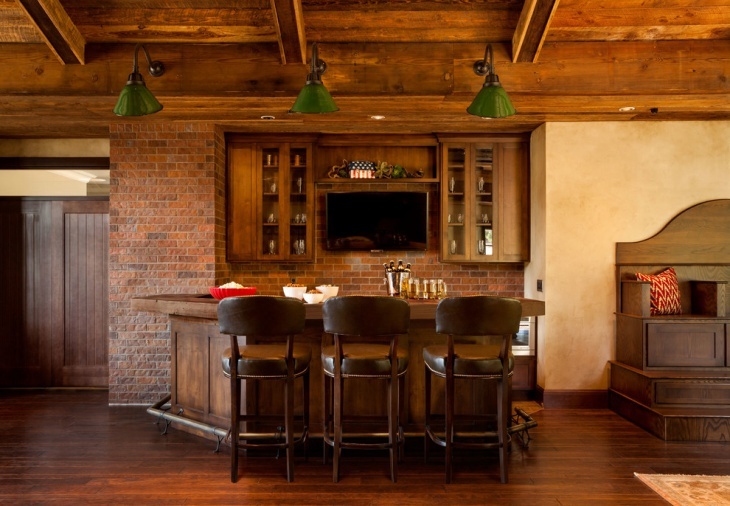 The brick finish for the bar enjoys a good compatibility with the wooden furniture. A hardwood floor with a furnished finish and wooden beams in the ceiling look rustic and gorgeous. 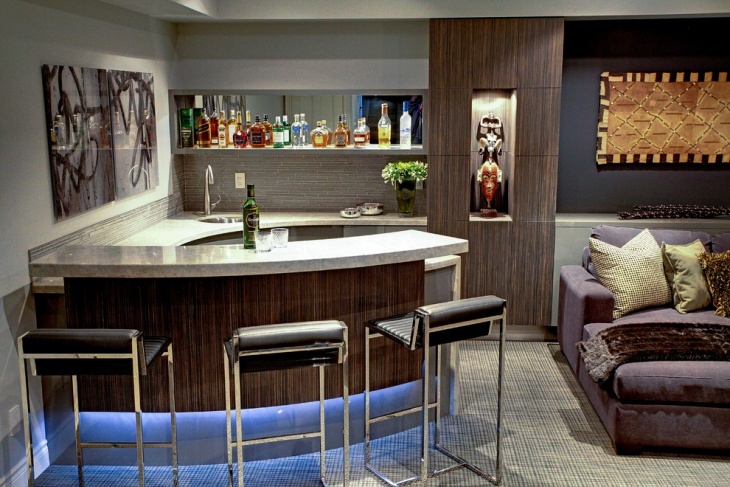 A Living Room Bar can be placed I a corner to utilise the available space wisely. The small corner bar has wooden handrail with a granite top. The room has a drop ceiling finish with small pendant lights illuminating the interior. Opt for grey-white walls for the room. When you long for a grand experience in your home-bar enjoying your popular programme on TV, you can incorporate this particular design. 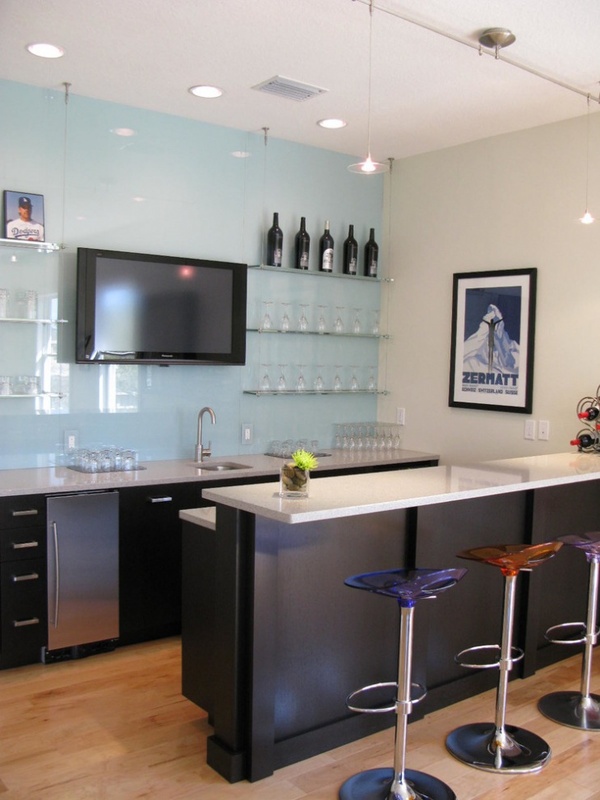 The bar has sophisticated glass decks on a light blue wall. It looks contrasting with the white walls and countertop. Opt for black cabinets to complement the colour of the portrait frame and TV. 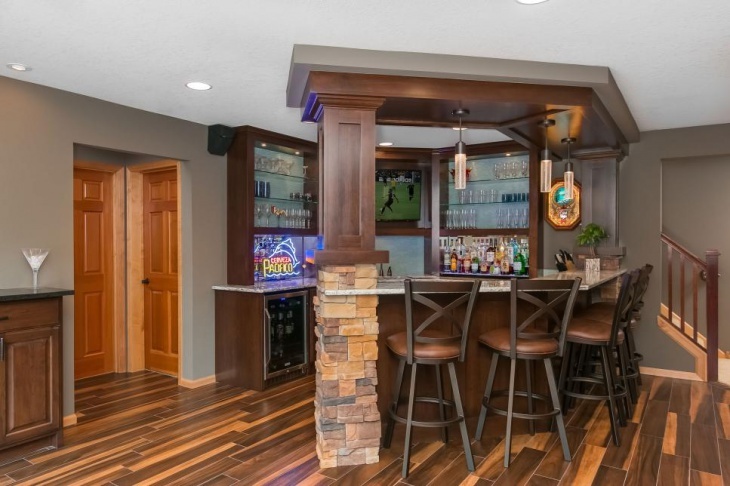 This is a basement bar with dark hardwood flooring. The white bar table and shelf have a good contrast with the floor. Opt for glass shelves to complement the look of the room. You can place the wine fridge under the counter in this setting. In this bar, the dark wooden finish yields the royal beauty. It is built in a basement with brick walls, which has a great contrast with the elegant wood finish of the bar. Tiny yellow-golden lights in the room make it beautiful. Dark coloured chairs and a dark-themed portrait on the wall further enhances the look of the room. 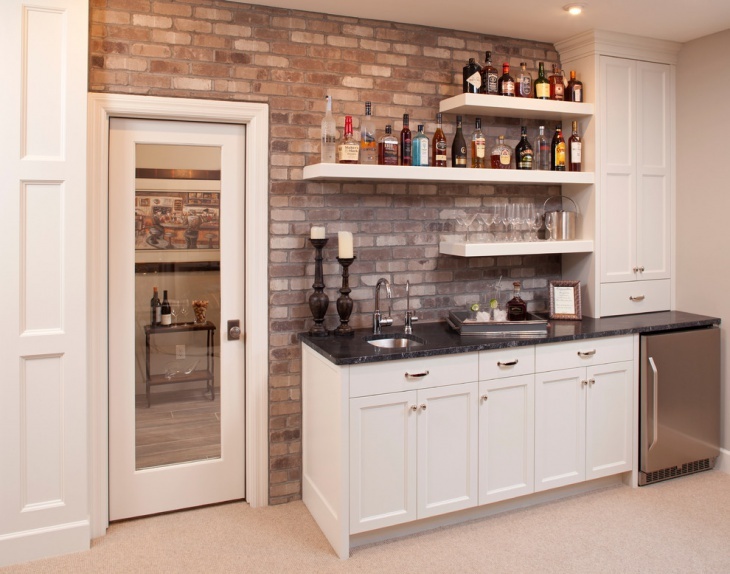 A typical home-bar comes with a brick backsplash and floating shelves. Paint the shelves white in colour to strike the right balance with the doors. Small pendant lights in the ceiling make the room beautiful. 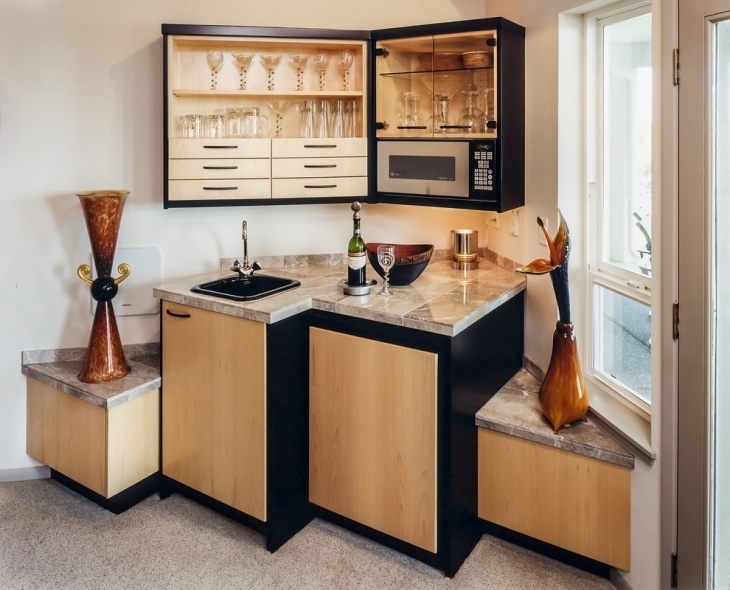 The bar sink looks elegant on the dark countertop. 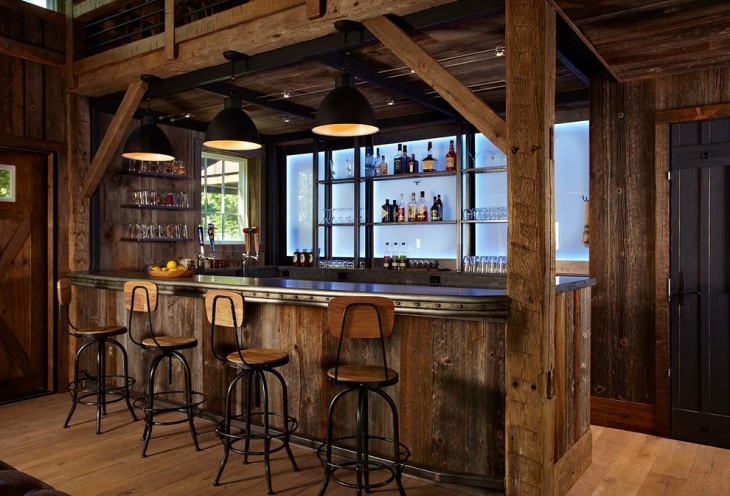 When you choose a luxurious interior for your living room, you can incorporate the rustic home bar idea in it to create a majestic ambience in the room. 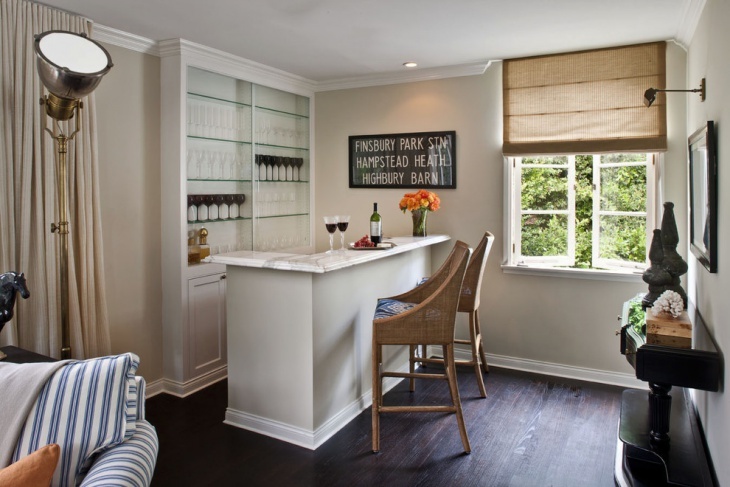 The bar is structured in a corner and looks great with brown-yellow flooring in the room. 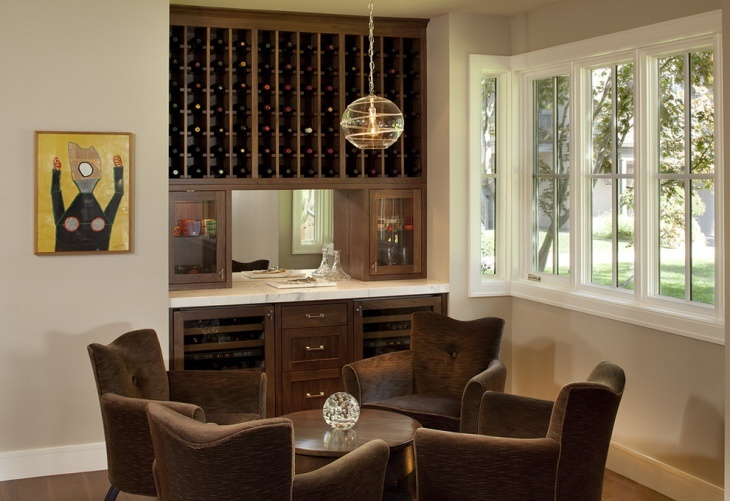 The rounded wooden bar looks great with artistically-designed furniture in the room. 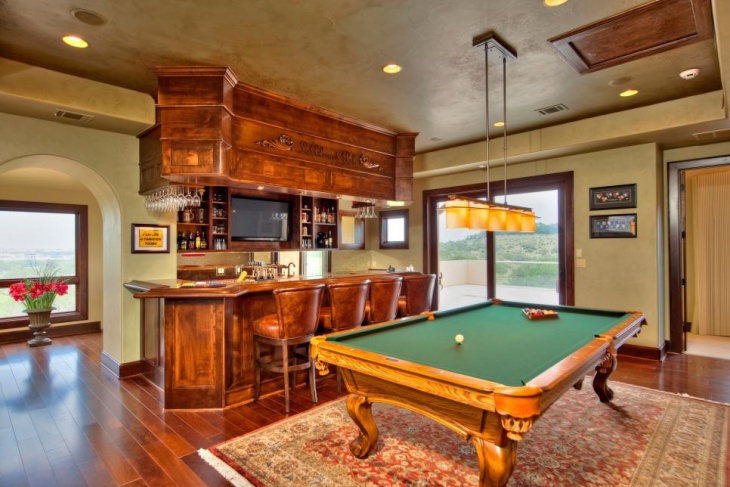 The Home Bar Furniture needs to be rightly chosen when you desire to get a gorgeous interior. The shelves, cabinets, chairs and other objects must go well with the interior decorations. 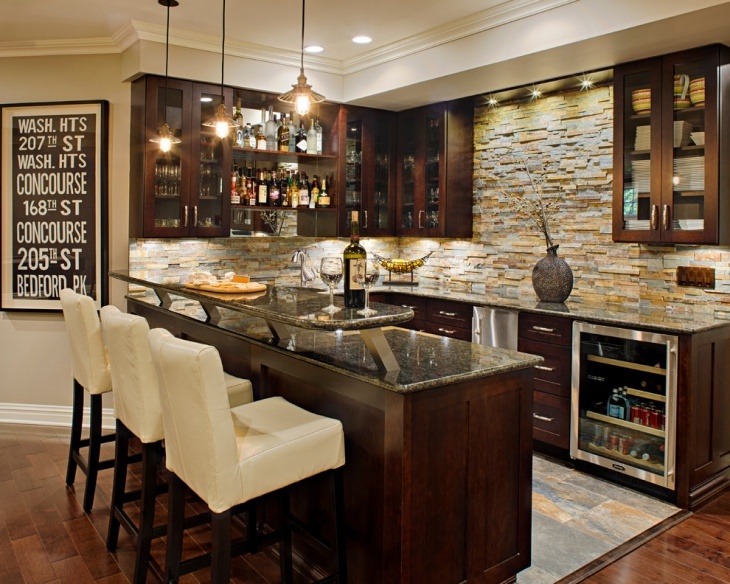 Personalisation plays the key role in designing your home-bar. 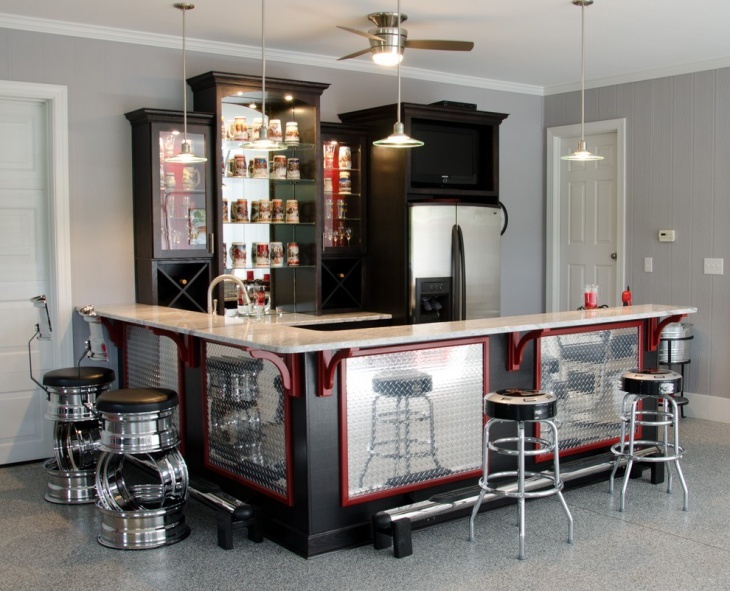 When you opt small home bars, you can experiment with your own ideas as well. Let us know what you innovate for your homes.